Director Bartlett Sher brings his Lincoln Center Theater production direct from Broadway. The show stars Kelli O'Hara as Anna and Ken Watanabe as the King, both reprising their roles from the 2015 New York run. Based on the Margaret Landon novel Anna and the King of Siam, Rodgers and Hammerstein wrote the musical for Broadway in 1951. It tells the story of a British teacher who is hired by the King of Siam as he tried to modernise his country. 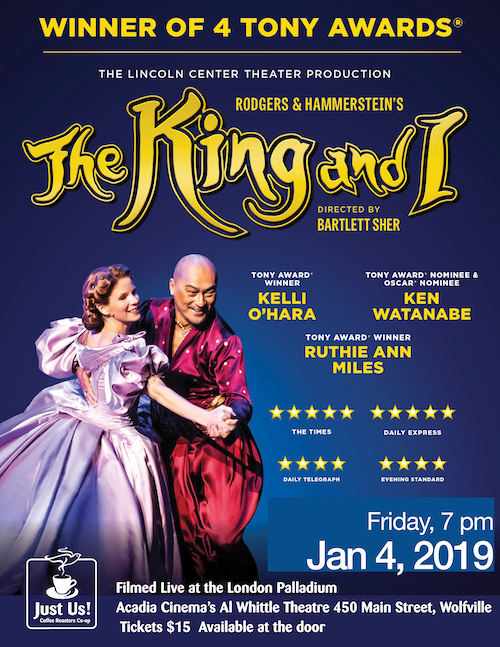 With one of the finest scores ever written including; Whistle a Happy Tune, Getting to Know You, and Shall We Dance, The King and I is a testament to the lavish heritage of gloriously romantic musical theatre.